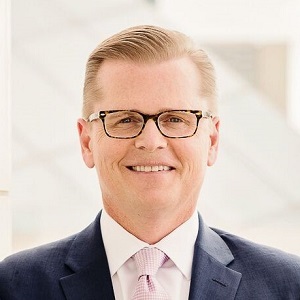 Colliers International has named 25-year industry veteran James MacQueen its new executive vice-president of valuation and advisory services in Canada. MacQueen, who assumed the role this week, leads the Canadian valuations team, designing and implementing strategies to achieve business goals, recruiting best-in-class managers and professionals, strengthening and forging client relationships, and developing business opportunities. MacQueen was most recently with Brookfield RPS, serving as executive vice-president. Under his leadership, Brookfield boosted its top-line revenue and appraisal volume, and achieved a 99 per cent client retention rate. Prior to Brookfield, MacQueen held senior management positions at Teranet Inc., CBRE, InnVest REIT, Cara Operations, Oxford Properties and Ivanhoe Cambridge. Apart from being a business development expert, MacQueen also specializes in land registry, data and analytics, and strategic services, in addition to real estate management, development and valuation. A native of Sydney, N.S., he holds a Bachelor of Arts degree from Dalhousie University and an MBA from University of Toronto’s Rotman School of Management. He has been a volunteer with the Children’s Wish Foundation of Canada since 2001, and chairs its Chapter Advisory Board for Ontario. CDPQ Infra has appointed Harout Chitilian its executive director, corporate affairs and development. He’ll oversee government and community relations, internal and external communications, as well as the CDPQ Infra brand identity – including the $6.3-billion REM project, Montreal’s new 67-kilometre automated rail transit line. “This is an exciting challenge for me, being able to contribute to the completion of the REM project of CDPQ Infra and its promotion nationally and internationally. My engagement with CDPQ Infra is a natural progression of my eight years of service to the community at the local government level,” Chitilian said in a release. Chitilian has been a consultant for a range of information technology and telecommunications companies. He also served as president of the Montréal city council before becoming vice-chairman of the Ville de Montréal executive committee, responsible for information technology and the digital and smart city strategy. Christos Panagiotakos has joined CBRE’s Ottawa office as vice-president and will work with the national debt and structured finance team. The appointment establishes a DSF presence in Ottawa for CBRE, and increases its service offerings. Panagiotakos has more than a decade of experience in debt and structured finance, both in broker and lender capacities. He began his career at Montrose Mortgage in Halifax with Glenn Umlah and his team, which became a part of CBRE’s national DSF team a year ago. He later moved on to Scotiabank where he was the lead for the bank’s real estate banking team in Eastern Ontario and Atlantic Canada. He has extensive experience in conventional and CMHC insured lending for multi-residential, mixed-use, condo, land/ land servicing, low-rise tract construction, and construction/ term lending for care facilities, office, retail and industrial assets. * Vancouver-based Parkit Enterprises (PKT-X) announced the departure of CEO Bryan Wallner, effective Sept. 30. Avi Geller and David Delaney will assume executive director roles on an interim basis until a new CEO is chosen. Delaney also becomes chairman of the board, while Advantc Global Innovations owner Brad Miller was also named to the board of directors. * Justin Blanchet was named a director of Delta, B.C.-based Innovative Properties. Blanchet has experience with financial reporting, regulatory compliance, treasury and audit for both Canadian and U.S. publicly listed companies. He is a Canadian Certified Professional Accountant and also a U.S. Certified Public Accountant. * Trez Capital Mortgage Investment Corporation (TZZ) (TZS-T) has appointed Clint Matthews, MAcc, CPA, CA, as its chief financial officer. He takes over from Alexander Manson, who remains in his other role as CEO. Matthews is the vice-president, finance of Trez Capital Fund Management Limited Partnership, the manager and portfolio adviser to the company, and handles financial operations and reporting responsibilities for all Trez Capital investment funds.